We arrived at Leeds Bradford Airport on Sunday morning and headed straight for the bar! It wasn’t quite the Old Bridge at Ripponden but it did have some character. Kev has obviously done this before – he managed to secure the best seats on the plane (at the back – more leg room, next to the loos, and first to get served!). 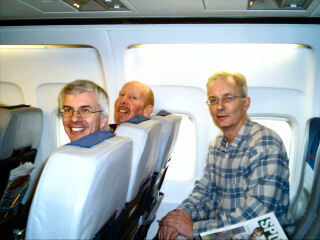 Jet2 was a great service, leather seats etc. 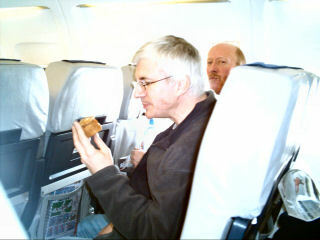 Once we were in the air, Kevin brought out a bag of pies. Threy were delicious, and we all had our photograph taken eating one on the plane.Kevin had pre-booked a hire car at Alicante Airport. “Don’t worry”, he said, “I’ve booked a Ford Ka but we’re bound to get upgraded to a Mondeo estate.” Kev’s optimism was ill-conceived – but these weren’t quite the words we used when we saw him returning with the keys to a VW Polo! Having squeezed all our luggage into a VW Polo (John and Richard carrying the parcel shelf on their knees) Pete took the wheel and headed in the wrong direction up the motorway. A daring U-turn and we were back on track..
First stop was the Chinese restaurant in Cala Finistrad. We were booked in the hotel for dinner, but this was too good to miss, even at 3.00pm – all you could eat with wine for 15 euros, between the four of us!. We got back in the car and Richard remembered he’d left his passport in the restaurant. This was to be the first of many humorous mis-haps on this Pie Club trip..
After a few coffees and beers at Kev’s cousin Tony’s house, we carried on to the hotel, - 10th floor rooms, with balconies and stunning views over the other hotels! Hotel Pelicana is a first class hotel in a prime location..
After unpacking we went for dinner, and then on the town, which was buzzing. After lots of bars (including Richard on karaoke) we settled in one to see the famous Sticky Vicki magic show. (An illusionist with a difference). Pete was singled out to assist the illusion. Back to the hotel for a coffee..
John was sharing a room with Kev, and out of consideration for the air they were sharing, John decided to use the public toilets in the hotel. Thinking he might be in for a long session, he took some Euro notes to read! Disaster – John later realised that he had left his wallet in the hotel toilet. It must have slipped out of his trouser pocket. He went back to look for it, but without success. De nada. After a walk along the front in gorgeous sunshine and watching the senior citizens beach aerobics, we had a look at the old town. Pete just wanted to read his Sunday paper, but Kev persuaded us all to get in the car and go wine tasting. We went to the Jalon valley. 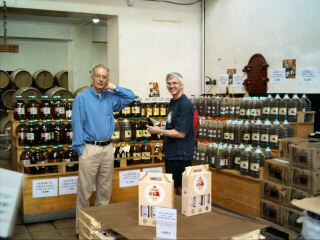 It was fantastic – 2 litres of red wine for 3 Euros, and as many oranges as you can fit in a Polo!. 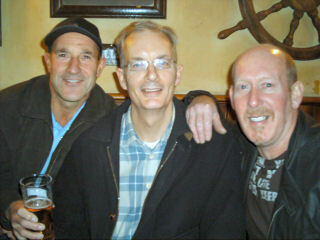 Kev then took us to another of his favourite eating places – the Rio Rou restaurant. Another delicious al fresco meal, with wine and lovely views. What more could we ask for (except for John to find his wallet!). We continued on to another café/wine/gift shop and bought some more goodies, had a coffee and watched the patron perform tricks by pouring wine down his forehead into his mouth. 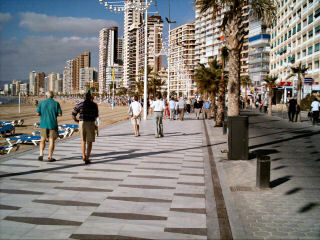 We returned to Benidorm for our evening meal, then had a mooch around the old town and the famous tapas bars. More beers! Then we hit the town again. Not what you might call fast action – we had a coffee with the blue rinse set whilst watching Only Fools and Horses, but then we discovered the legendary drummer, Eric Delaney, playing in one of the bars. 80 years old but still a fantastic performer! Pete and Richard turned in at around midnight, leaving Kev and John to have more beers and chips at around 3.00am..
After breakfast we checked out, and went into town to do some shopping. 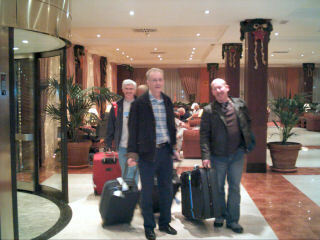 Suddenly we lost Kev and started panicking as he’d got the plane tickets! “He’s bound to be on the front, watching the senior citizens’ aerobics”, said John, so we headed towards the beach and split up to look for him, but he was nowhere to be seen. Kev found us again several hours later soaking up the sun next to the hotel pool. “You b******s”, he said “I’ve been stood waiting for you in town.” Once we’d got the misunderstanding cleared up it was time to get in the car and head for the airport. By now, Pete (who was our driver), was getting used to interpreting Kev’s instructions. “Turn left” usually meant turn right, and was usually accompanied by Kev pointing to the right. “Up there” was more difficult as it could mean left or right, as could “Down there”! In fact the car events had been like an episode of the Chuckle Brothers from the start, but the best was yet to come! As we came within 10 miles of the airport Kev said it was time to fill up the hire car. We pulled into a service station – the only car on the forecourt. 20 minutes later we pulled out, having finally managed to get 2 gallons of petrol in! We reached the airport, did our duty free shopping and went to the boarding gate. Pete was refused entry! Somehow he had managed to pick up someone else’s ticket at the check-in. Having held up a queue of passengers for 10 minutes he eventually got through, and we took our seats on the plane, with some relief!. We were all ready for lunch, and Jet 2 were serving sandwiches. “Don’t buy any yet” said Kev, “They always reduce them towards the end of the flight”. He definitely knows all the angles and sure enough he was right, and we all had discounted sandwiches before we arrived back in Leeds/Bradford. 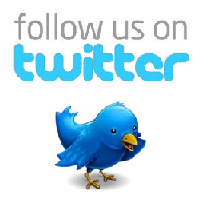 It was a great outing – good fun, good food, and great service from Jet 2 and Sentinel car park at Leeds/Bradford. Roll on the next Pie Club outing!!!! !